It doesn’t matter how much money and work you put into developing an amazing looking website or an app, if it doesn’t offer any value (or a pleasant experience) to the end user. User Experience (UX) matters! Most small businesses still live in denial, but the truth is websites, apps, and every other product you can think of will never be successful if user experience design isn’t part of its development process. “86% of buyers will pay more for a better customer experience. But only 1% of customers feel that vendors consistently meet their expectations.” – Clarabridge, an American customer experience management company. Why should you care about user experience design? Well, UXD is all about making a product or a service more appealing and easy to use. When a user finds your service easy to use, they are more likely to purchase it. It’s a clear path towards a better product, and happier customers. “The revenue impact from a 10 percentage point improvement in a company’s customer experience score can translate into more than $1 Billion,” according to Forrester business impact of customer experience. User experience design is nothing new. It’s been around since the late 1940s, but the field has seen rapid growth in the last couple of decades with the rise of the internet and cloud-based services. More and more businesses have started paying attention to designing products with a focus on offering a great user experience. Most small businesses are still catching up to seeing the true value of user experience design. By 2020, customer experience is expected to overtake price and product as a key brand differentiator. If you care about creating products, websites, and apps that offer the best value to your users, you’ll need to start blending UXD into your design mix and stay up-to-date on the latest UX trends. Here are a few UX trends that you should keep an eye on in 2017. 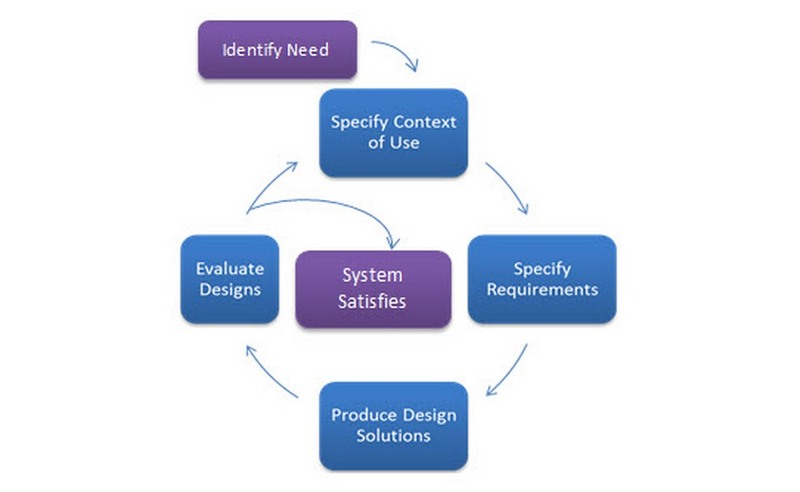 User-centered design (UCD), also known as user-driven development (UDD), is a framework used in a design process to understand the needs, requirements, and the wants of the users of a product. 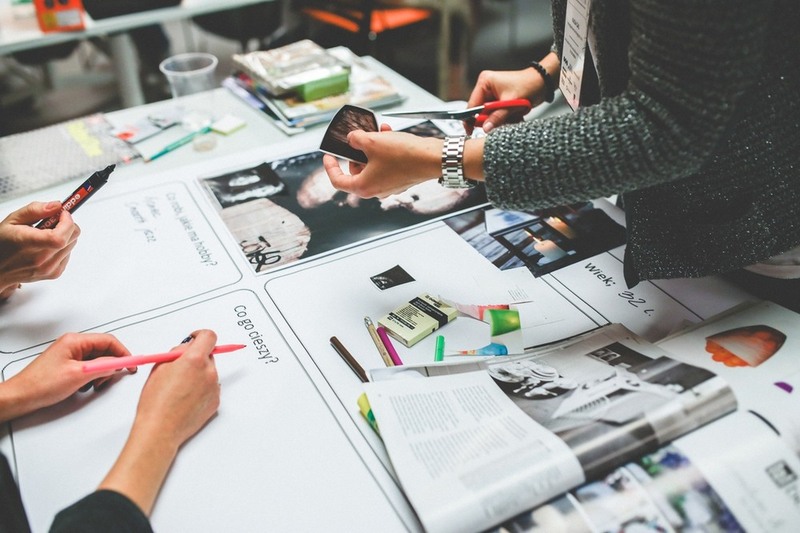 Simply put, it’s like a user-centered evaluation that spans throughout the different stages of the design process, which aims to ensure your user receives the best experience possible. Integrating UCD into your design process will not only help improve the overall user experience of your product, but it will also allow you to understand the user’s needs as early as possible. Give user centered design a try in your next project and you’ll see how it’ll give you a whole new perspective to designing better products. “51.3% of internet users now use mobile and tablet devices while only 48.7% use desktop PCs to access websites,” according to StatCounter. Designing websites and apps with a prime focus on offering the best experience to mobile users is now more important than ever. Today, more people use mobile devices to access the web than notebooks. It’s time you stop planning your desktop design before mobile — it’s time to adopt mobile-first design. When using a mobile-first design approach, you’ll be able to easily make important design decisions, such as including only the most important content in your design and limiting unnecessary style elements, to create websites that will look great across all devices. Whether it’s Siri, Google Now, or Cortana, smartphone users are now finding themselves falling in love with their voice assistants. As a result, more developers are now looking into developing voice-driven web apps and services. A great example of this in action is Google Docs voice typing, which now allows you to type and edit your documents by speaking the words into your microphone. But, speech recognition is not limited to web apps and services — even blogs and websites could benefit from a voice-powered search engine or a customer support system. Is the keyboard going the way of the typewriter? We can’t know for sure. But either way, you shouldn’t wait around to find out the answer. Understanding the importance of user experience design is merely the first step toward designing better products. The next step is finding better ways to implement and experiment with UXD. Here are some useful tools for doing just that! UserTesting is a powerful user experience tool that allows you to run user tests on your websites, apps, and prototypes. You can see videos of people using your product while describing how they feel about the experience. After signing up, it will connect you with users in your exact target audience and allow you to get feedback on your product within an hour. It’s an easiest and cost-efficient way to run user experience tests. UserTesting pricing starts at $99 per video. UXPin is an advanced prototyping and design tool, which also includes integrated user-testing features. This tool will drastically improve both your product prototyping and user experience design process. Using UXPin, you’ll be able to design wireframes, prototypes, and collaborate with your team or clients while getting feedback in real-time. UXPin pricing starts at $19 per month per user. Origami Studio is a new tool for designing modern interfaces, built and used by designers at Facebook. Like many of the products and technologies that have come from Facebook in recent years, it’s designed for real-life use and immediately makes a solid impression. You can build a app prototype with re-usable components, layers (imported from Sketch), and live interaction. There’s also Origami Live, a mobile app for iOS and Android that makes it easy for you to see your live prototypes on different mobile devices. A great way to get a better feel for how your interaction model works on a real-life device. 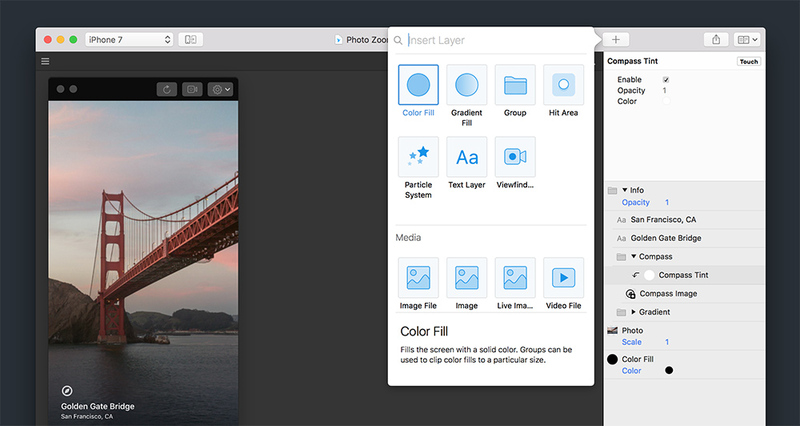 Origami Studio is completely free, and available for Mac OS. Designing unique websites, apps, and services that no else has ever seen is a great way to stand out from the crowd. However, always remember that following user experience design standards is more important than anything else. Looking for help with implementing these techniques, trends, and best practices in your next project? Look no further than Mayven, a development team who know UX inside out and are perfectly placed to help out with your development needs.